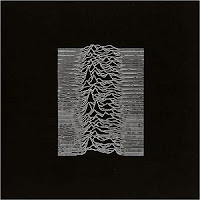 This week's featured album is Joy Division's 1979 debut LP, Unknown Pleasures. Check out my discussion on the video below. Please enjoy, and feel free to leave me your thoughts on this record. Cheers! BTW, when Control was in the early pre-production stages, Anton Conbijn said that he was going to base it mainly around Debbie's book. However, since its release a few people (including Peter Hook) have said that she wasn't happy with the end result. What did you think of it? Haha! Thanks Jonathan! Happy to see that you are enjoying them. There are several others - if you haven't noticed - that I don't end up posting here on my blog, so be sure to subscribe over on my YT channel. Thanks for the info on Control. I have it sitting here, and keep wanting to watch it again... but it's so intense. I think I've seen it twice and have enjoyed it both times, but like I said... it's an intense viewing, and even before you see it the first time, you know how it ends. I am REALLY looking forward to Peter Hook's upcoming book about JD. Actually, if I remember correctly, you are in Europe - so perhaps it's already available there? Do you know about it? Anyways, thanks for commenting and watching.